Tuesday 21st November 2017 is the first day of term 2 for both Collon and Drogheda classes. 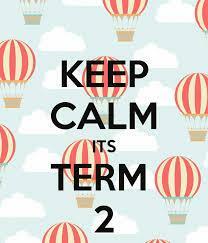 It is hard to believe Term 1 is over and we are now into the second term of this current year. Term 1 was a busy term and some of our success included was VAD Competition, All Ireland Hip Hop Championships and The All Ireland Showchoir Competition in Dublin, one of our students, Chris Howick Crook, was crowned ”Dancer Of The Year”, a huge achievement. The Collon Show and Drogheda Drama shows are now booked in the Droichead Arts Theatre. The Collon students will perform on Thursday 22nd February and the Drogheda Drama classes will perform Sunday 25th February. Good luck to all our students who will perform in the many Pantomimes over Christmas. We are recording a single in collaboration with Abbey Lane Recording Studios. 4 A Minute was written by our very own Sarah Louisa Nolan and is open to all students to take part. We will be practising at classes this week and next week. Fran will be recording in Old Abbey Dance Studios on Saturday 2nd of December between 3 and 6pm. This will be a fun and interesting experience for all and we expect the single to be completed and manufactured for early January. 4 A Minute will be for sale in the studios and we will donate all profits from the sale to charity. We look forward to seeing as many students as possible taking part. 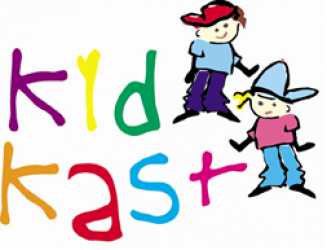 More information in classes and the single is online to practise to www.kidkast.ie/student. This page is password protected and we will give out the password in class or at reception. Thursday April 26th 2018 at the Bord Gais Theatre we have block booked to see the wonderful Matilda. This is open to all students, their families and friends and will be a great evening. There are some tickets still available and the cost is €50 per ticket (reduced rate). We will need payment in full for all tickets by Saturday 9th of December. We will organise coaches to and from the event closer to the time. Christmas is only around the corner..!!! Calling New Hip Hop Crew Members… Our competitive Hip Hop crews are now open to new members. Training takes place every Thursday. Ages 12 and under 6-7.30 and ages 13+ 7.30-9. Open to all students who take dance classes this is a great opportunity to be part of our competitive hip hop teams. Crews cost €5 pay as you go. Our School Hoodies and Zippies have a lead in time and we will be closing orders for both on Friday 1st of December to allow Jim enough time to have them delivered by Christmas. If you are thinking of ordering either products please do so immediately to avoid disappointment. Old Abbey Dance Studios stocks all major dance brands. You can order any items by phone, email or by calling in to our shop. Shop opening times coincide with class times in the studios. Flexi Friday class is available to all dance students and is free of charge from 5.30 – 6.30 each Friday. This class concentrates totally on strength and flexibility. Lyrical/Contemporary: Convertible tights, leotard OR leggings & tight fitted top. ALL STUDENTS MUST HAVE THE CORRECT FOOTWEAR FOR EACH CLASS. Senior Jazz students (age 13+) must have both tan & black split sole jazz shoes before next years show. Ages 6-12 Song and Dance, Dance or Jazz Dance students must have black split sole jazz shoes. For students to truly work to their best potential the correct attire should be worn. Correct footwear, in particular, is crucial to a student’s development. If you are unsure, don’t hesitate to ask any of the teachers to see what they suggest. We have a dance shop on site and all clothing and footwear is available at high street prices for your convenience. The most important thing to bring to class is a smile, lots of energy & a good attitude!